The new Community Centre is now available to book for sports activities, social events, birthday parties etc. For all booking information please visit www.ballonhall.com. 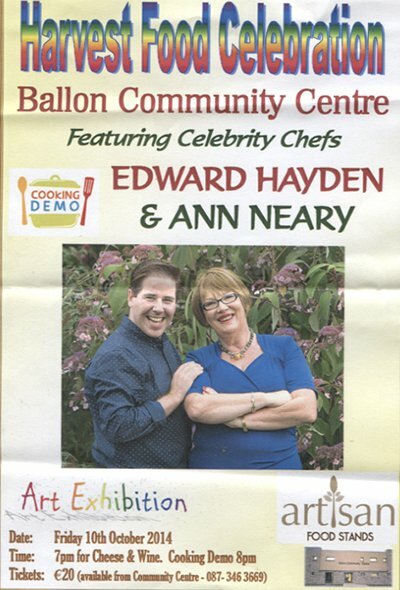 Bookings can also be made by email to info@ballonhall.com or by phone to 087 3463669. 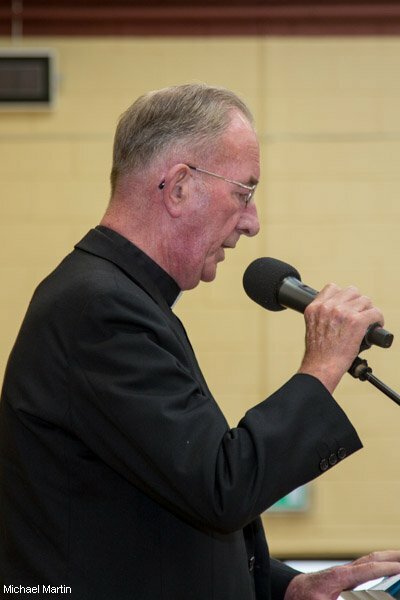 Hourly rates for the main hall are €30 after 5pm and €20 before 5pm. Fifty years in reporting for the Nationalist is being celebrated by the Ballon/Rathoe correspondent Michael Dawson. 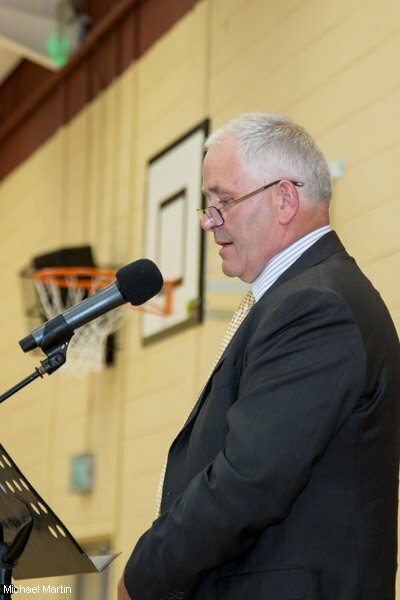 Over time Michael has kept the local community well informed regarding the happenings around the local area. Through the internet the diaspora can enjoy staying up to date on all the events from home. 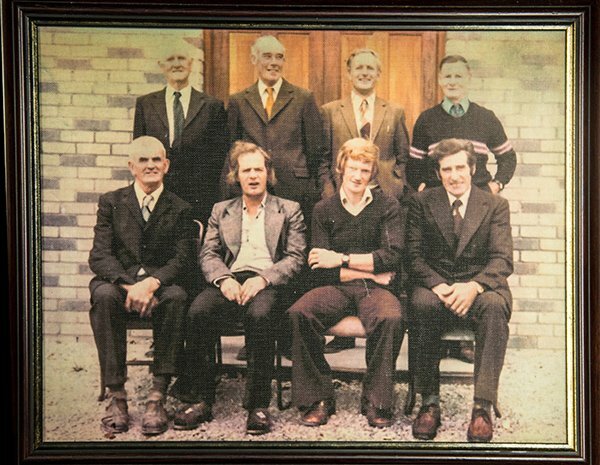 The official opening of the original community centre in 1976 together with photographs is just one subject which our talented correspondent has covered. 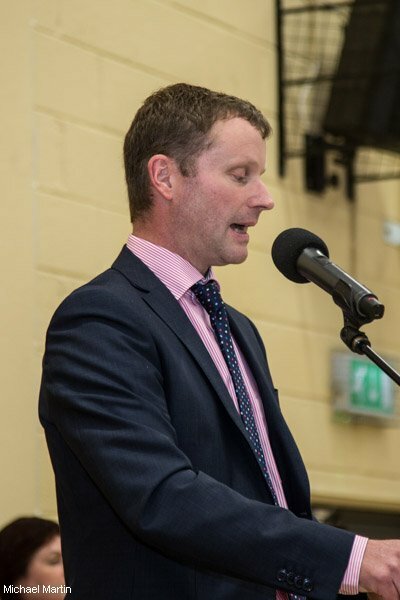 He has also reported on the success of local athletes in sporting events not forgetting the annual Community Games results. A regular feature in Michael’s correspondence is the Lotto results and the Whist results from Rathoe. Great sensitivity is exercised by Michael when an obituary is part of the notes. Michaels’s attention to detail is beyond measure. His reporting is always delivered to the highest possible standard. The Nationalist have very kindly presented Michael with two pictures containing correspondence which featured in the Nationalist . 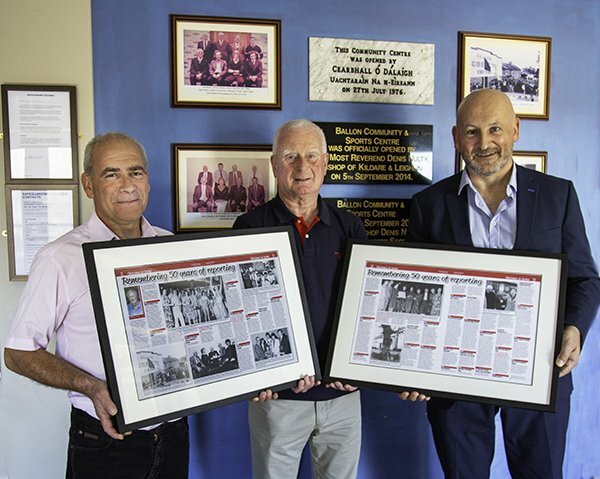 In turn Michael has very generously donated the pictures to Ballon Community & Sports Centre where they will be put on display for all to enjoy. The Community Centre Committee would like to express their appreciation to Michael for this very kind gesture and wish Michael many more years of successful journalism. 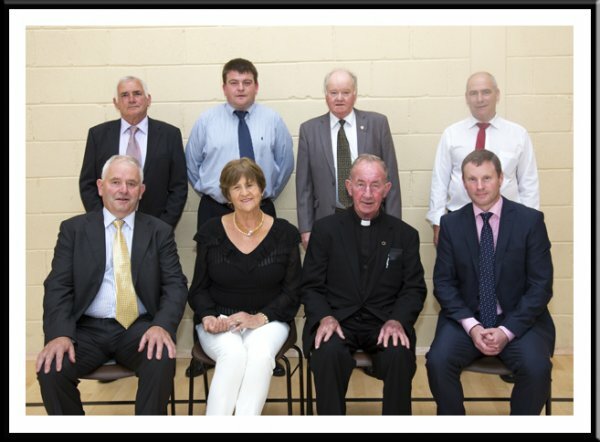 Ballon Community Centre Annual General MeetingAt our recent A.G.M the following executive members were unanimously elected. It was agreed at the to hold a Fashion Show during the third week in October to defray some of the debt on the hall. Faith Amond has agreed to compare. Tickets @ €10. 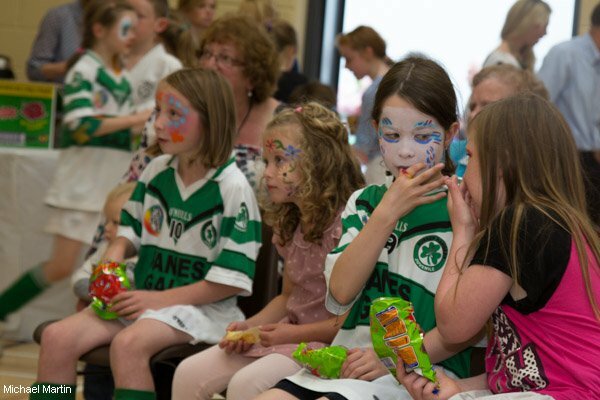 The delicious aromas wafting around Ballon Community Centre on Friday 10th October had taste buds popping as the Harvest Food Celebration was underway. Celebrity chefs Anne Neary and Edward Hayden donned their aprons and produced some mouth-watering dishes from seasonal and local produce. Proceedings kicked off at 6.30pm with an Artisan Food Fair. 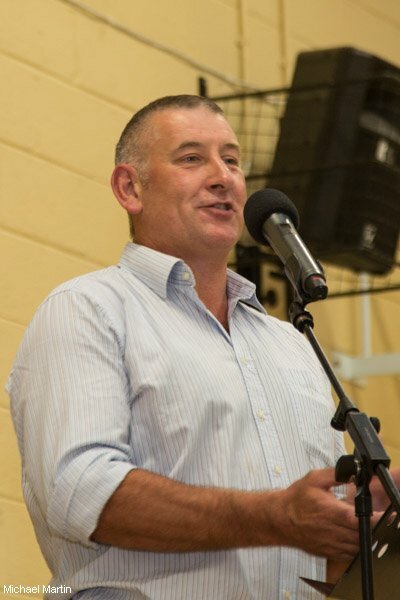 There was representation from local food producers like Malone’s Fruit Farm ,Ballon Honey produced by local man John Blanche and Gilbert’s Apple Farm to name but a few. 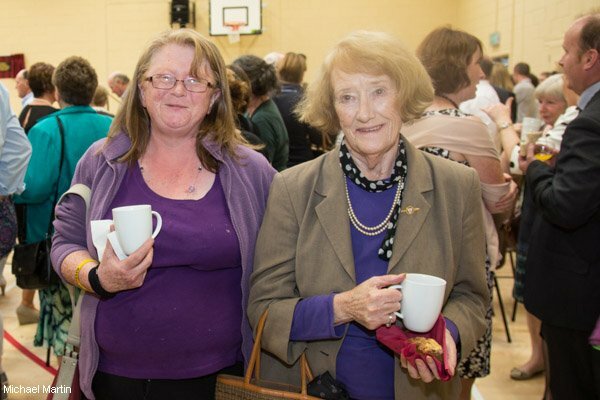 A Cheese and wine or non-alcoholic hot punch reception welcomed all visitors at 7pm which was enjoyed by one and all. Proceedings flowed on the night thanks to our MC – Fiona Dillon – food blogger and author of Food from and Irish Garden who also did a demonstration on how to make raspberry gin and also a cordial.The Chefs took to the Kitchen at 8pm and from there everybody enjoyed the banter they shared together as they cooked some very interesting and simple recipes. After the cooking was complete and ovens turned off, the chefs left their beautiful dishes at the back of the room so that everybody could have a taste. Everybody was very pleased with the culinary efforts and results. The Committee would like to express their gratitude to everybody who contributed in any small way to making our Food Celebration a great success. 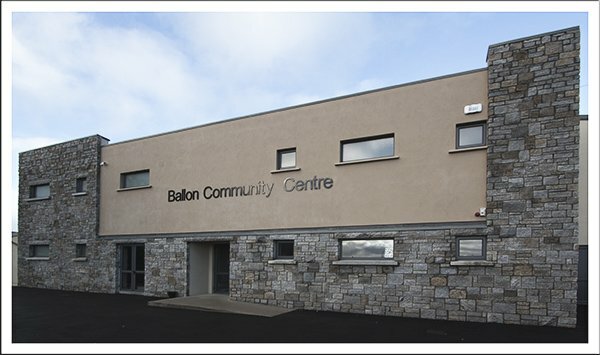 Ballon Community and Sports centre was officially opened on the 5/9/14 and was very well attended by invited guests and the local community. Prior to the official proceedings members of the committee were interviewed by Showcase (Channel 191) affiliated to Sky News and will be aired in a few weeks’ time – details later. They also took photographs of the facility to be shown at the same time. 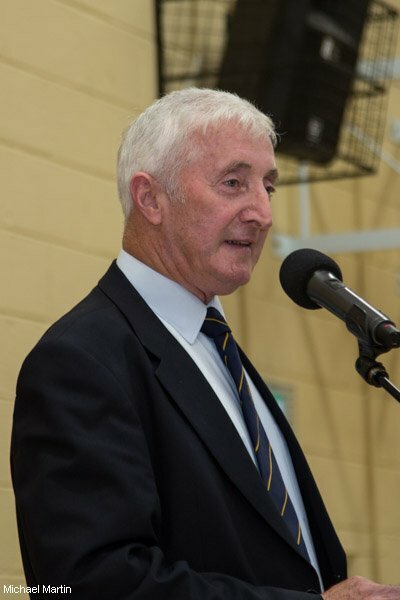 It ran to a disciplined schedule and started with piper Pat Lalor leading local clubs and groups with their mentors parading from the church through the village to the Centre. 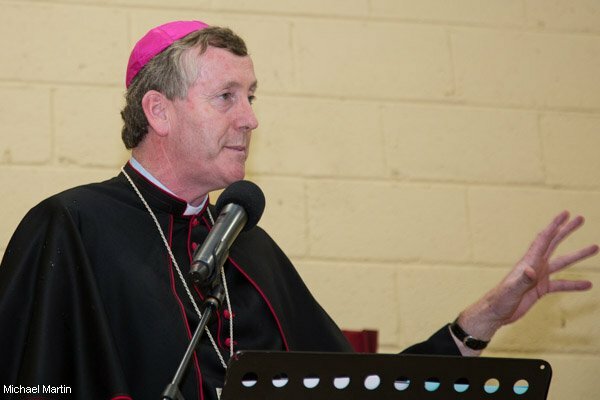 The building was blessed by the Most Reverend Denis Nulty, Bishop of Kildare and Leighlin assisted by Fr. Howard PP and Rev. Lester Scott, C of I. The bishop then cut the ribbon assisted by BNS pupils Owen Murphy, Caoimhe Holden and Alannah Maher. A flock of doves were released to remember past hall users and deceased committee members. Guests were treated to a cheese and wine reception when entering the hall with the opportunity to meet and greet before the formalities. 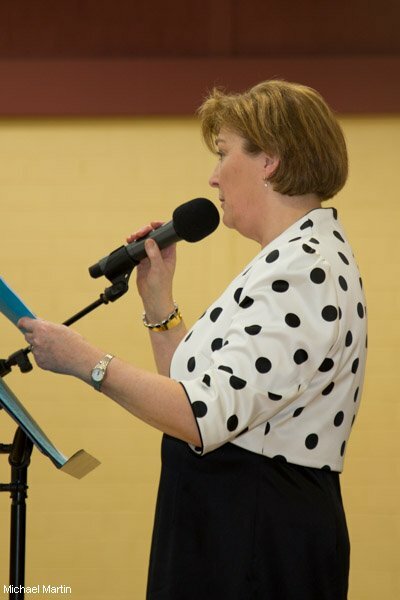 The speeches outlined the work and preparation to put the project together and the close monitoring provided locally to ensure all went to plan. The project was praised in providing a first class facility for all members whether for the sports, arts or cultural events. 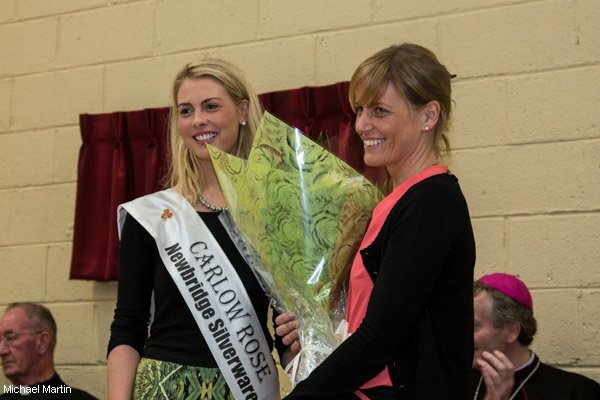 The stage was graced with the presence of the Carlow Rose and Miriam was asked by MC Kathleen Fitzgerald about her adventures with the Rose of Tralee festival. 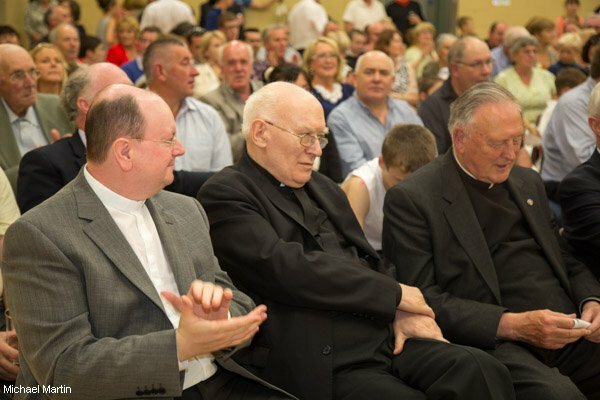 The proceedings were brought to their formal end with Fr. Howard drawing the curtain on the plaque to a well-rounded countdown. 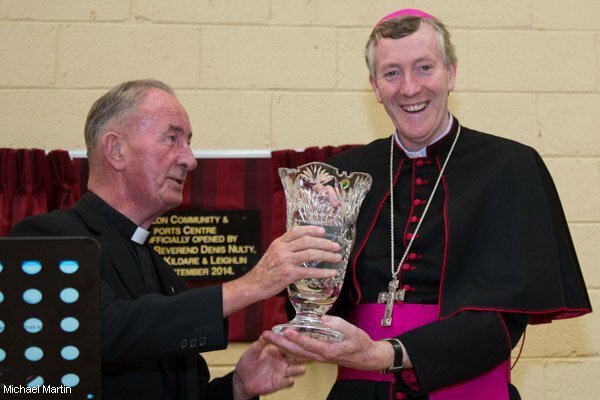 He then presented the bishop with a fine piece of Waterford glass. Ample refreshments were then provided and the opportunity to mingle and mix. Closing the evening there was entertainment by the Kirwan Academy of Irish dance, sports entertainment by hall users and traditional music performed by Niall and Eoghan Quirke. 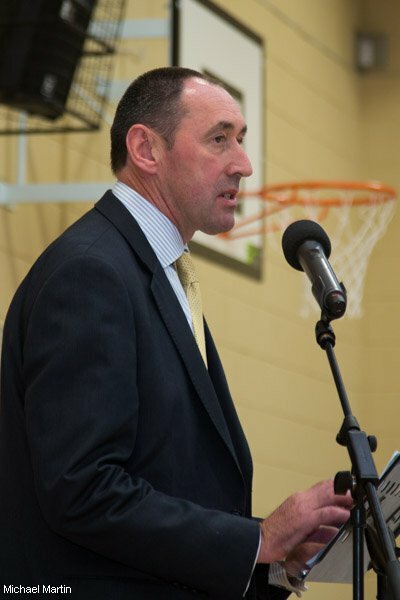 Special guests included Anne Phelan, Minister for Rural Affairs, Fergal Browne, chairman of CCC, Pat Deering TD, members of CCC and other dignitaries. 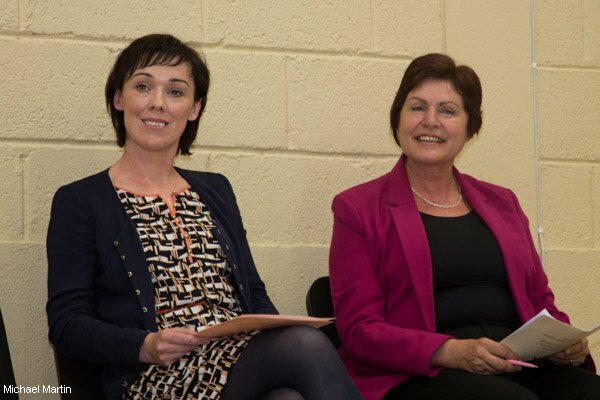 Also present were Mary Walsh and Claire O’Shea of CDP who were a great assistance at the inception of the project. The hall committee wish to thank all the volunteers who worked so long and hard to prepare for the very special event. Let the pictures tell the full story. To change the pictures full size click on the top right or left hand side. Or view as a slide show with smaller pictures. 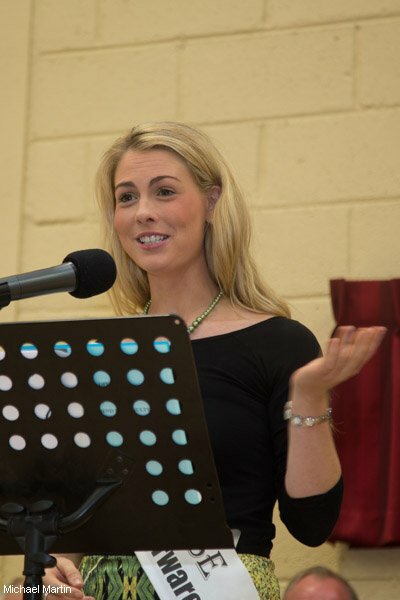 The opening of Ballon’s new Community Centre. Work on a major revamp of the old centre, which opened in 1976, commenced in May 2013 and was finished just seven months later. 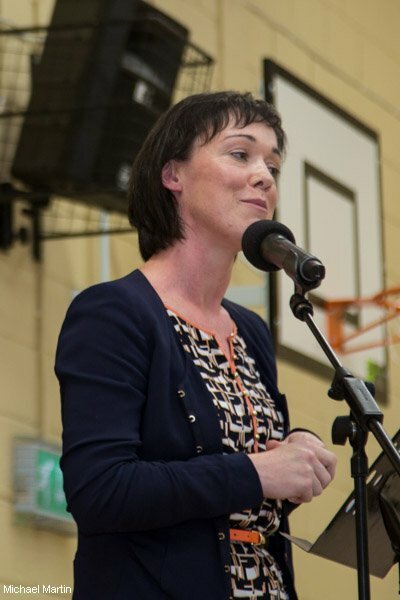 A two storey extension was built to the left of the main hall and includes a foyer, kitchen, changing rooms, toilets and showers as well as meeting and storage rooms. The large viewing area on the first floor can be accessed by a lift making it wheelchair friendly. 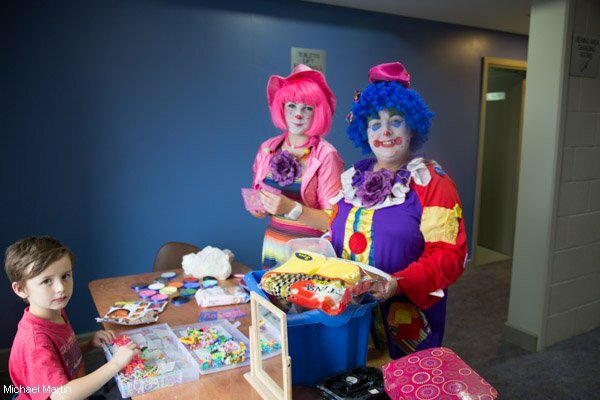 The main hall was upgraded and extended and can be used for indoor sports, bingo and dancing. 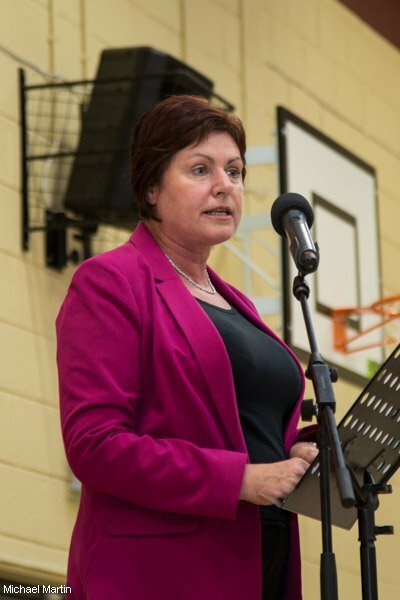 The revamp cost in the region of €660,000 of which €470,0000 come by way of a grant from Carlow County Development Partnership. 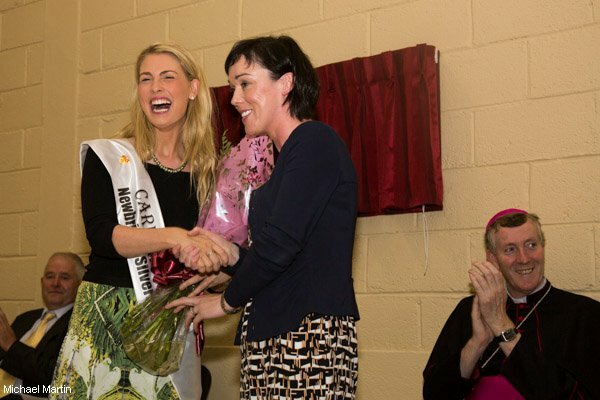 A loan for €150,000 was secured from the Diocese and will be paid back over an eight year period. The end product gives the village a state of art facility and is a credit to all those involved in its construction.